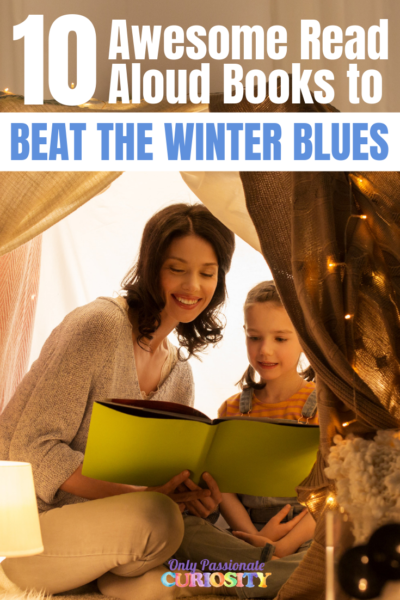 We’ve used Dover coloring books as part of our Homeschool for a long time- I love being able to give the kids fun, educational coloring to go along with our lessons, and keep them busy as I read aloud. It turns out Dover has so much more than just coloring books! I was so excited when Educents contacted me about reviewing two of Dover Publication‘s new books from their BOOST and Table Top Scientist series. This is a book that I already had on my shelves (I had an old edition before it was updated) and just loved. A year or so ago, I did a full unit study using this book as the spine. This book covers all the body systems in detail, and is a fantastic jumping off point, or supplement to any human body study. 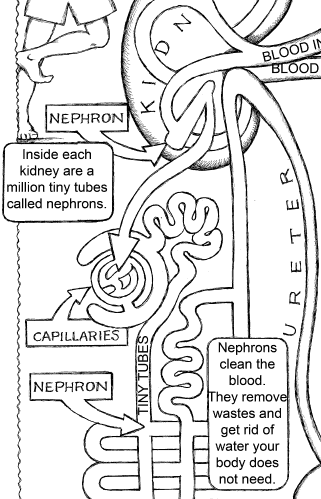 It breaks down human anatomy into small, easy to understand concepts. It’s intended for Elementary age students (it specifically says grades 1-2) but I think kids up to the third-fourth grade would benefit from it, since it is very detailed and clear. Some terms are extremely simplified, for example, the esophagus is labeled “food tube” which is unfortunate, because I really feel that even young kids can and should learn the correct terms. In my home, I just explained that the “food tube” is called the esophagus, and we penciled it in. The pictures are detailed enough that it made up for using simplified terms. One of the best things about it is the free teachers manual you can download from Dover to go along with the coloring book. It is very short, but it provides ideas for vocabulary, writing, and other activities you can use to enhance your studies. This book is a very good starting place for a human anatomy unit with young elementary students. 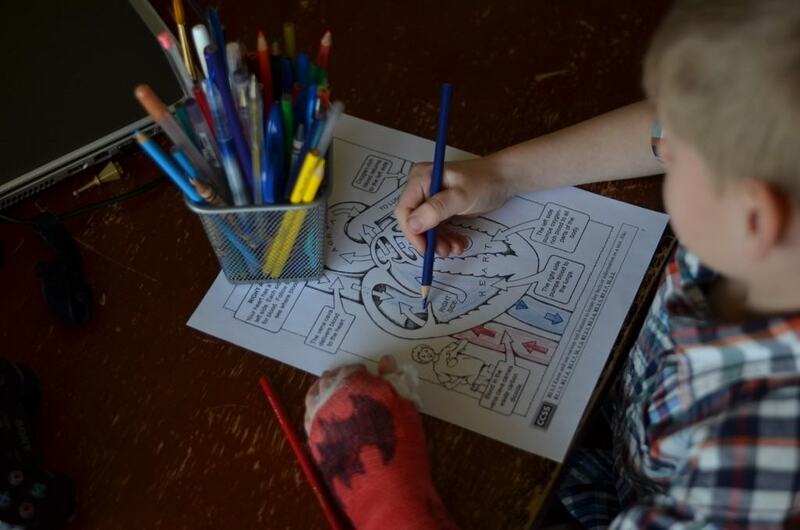 My kids really enjoyed the coloring pages, and I like how detailed they are. 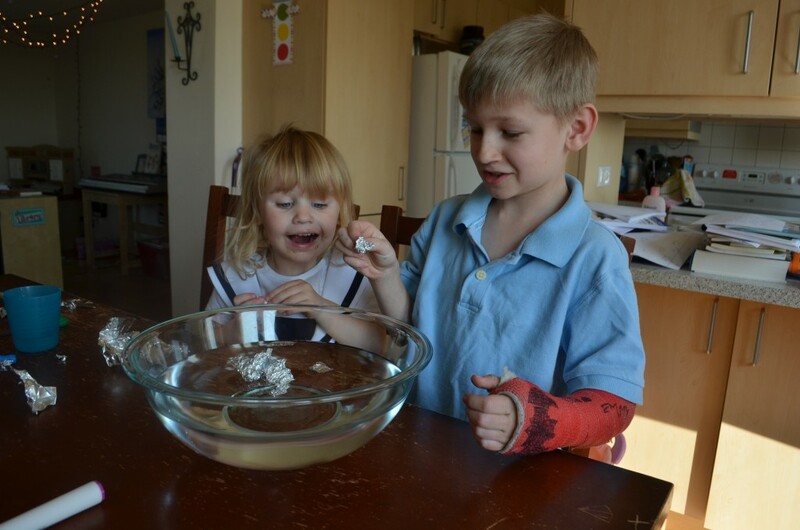 They have sparked lots of interesting conversations in my home about how the human body works. 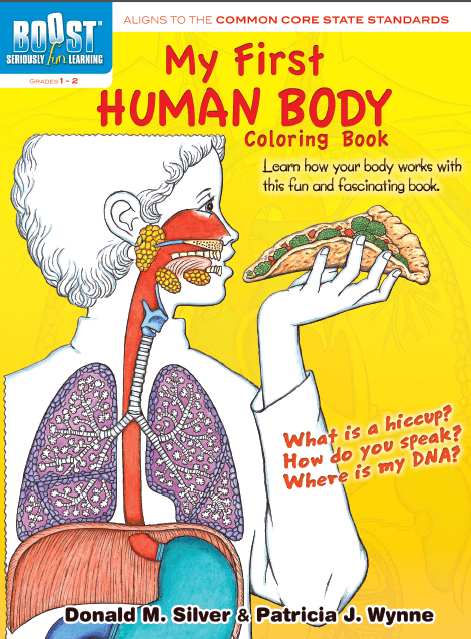 My First Human Body coloring book has 28 pages, and is common core aligned (this doesn’t alter the content at all, it simply means at the bottom of each page, there is a list of the common core standard for which the page meets). This book was brand new to us, and it’s awesome. 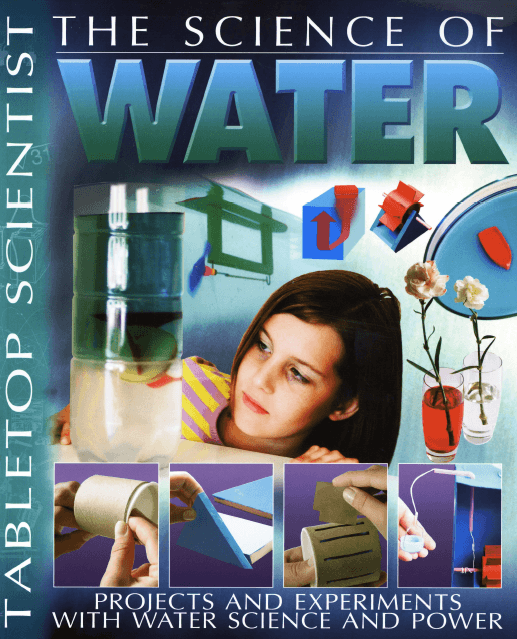 It’s packed full of information and fun activities to learn about everything from condensation and rain, to surface tension and density. Each page has an activity, and a helpful box that explains the scientific principles behind the activity/experiment. There is enough helpful text in this book that I didn’t really feel the need to add much extra reading, it works quite well as a stand alone unit study. I really liked the experiments because they didn’t require anything more than materials I already had in my house, and were simple, but effective. The Science of Water is intended for 3-6 grades, but I had good luck using it with my first grader as well. 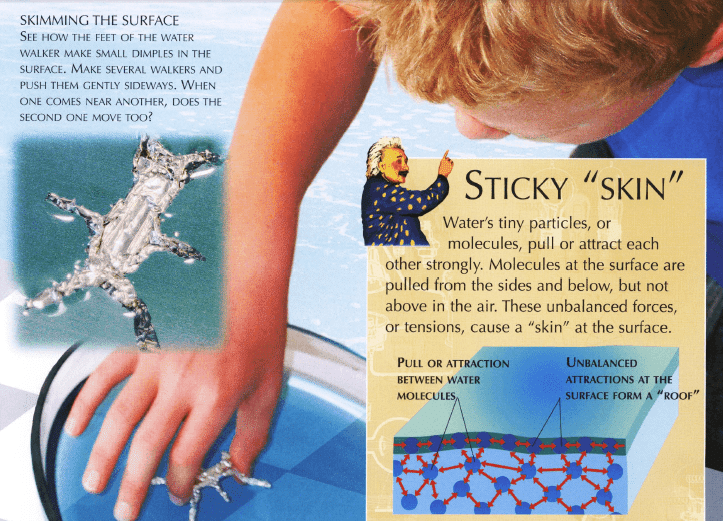 It’s a very colorful, engaging book, so all the kids enjoyed looking at the pictures of other children doing the activities, and the graphics are done well enough to make the experiments easy to follow. I think you could use this series for a full science program if you chose a couple books to do a year, or as a fun bridge in the summer. 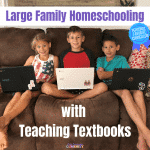 Both these books are very well done, and are perfect for homeschoolers wanting to do unit studies with their children. 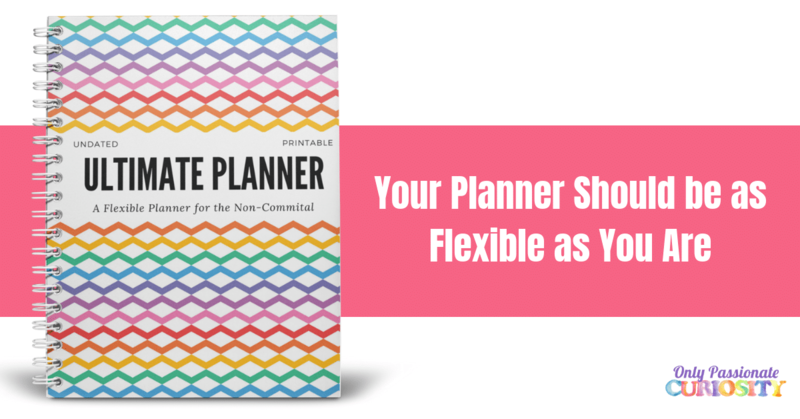 They pack a huge amount of useful content in a few, inexpensive pages. We’ve been long time fans of Dover and these books are perfect new additions to our homeschool library. Both of these books are a very reasonable price, and can be purchased from Dover Publications. This is confusing…since this is a review for Educents I thought I’d find it on their website, but I don’t see it, and I can’t find the e-books on the Dover site. ?? I did find the human body e-book, but not with the Boost name, it’s got a different name. Do you know if Educents is going to be offering these? 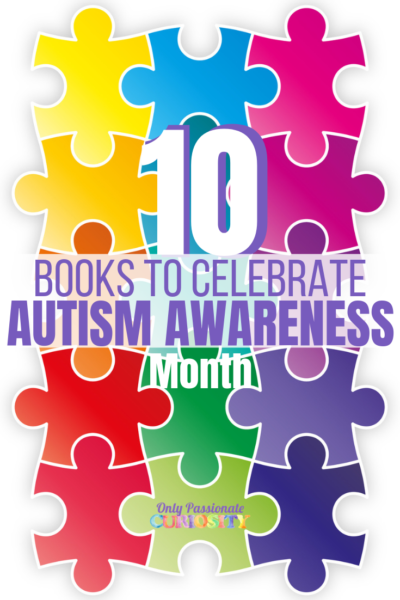 I am having trouble finding the eBook with the same name also. I asked Educents, and they said they won’t have the Dover books at this time, and asked me to link to the Dover page, and all I could find are the actual books. Luckily, the books are only 5 dollars or so, so that’s nice, but strange that neither of us can find the eBooks (which is what they sent me). I am sorry for the confusion! I’ll keep looking and check back if I find them in eBook format.